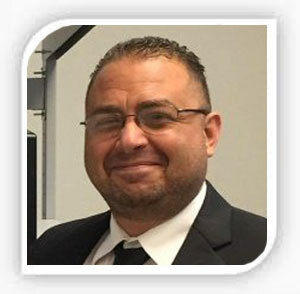 WEST PALM BEACH – Google AdSense, once the greatest and easiest way to immediately monetize your domain or website, has added an additional layer of validation to the game, by requiring your domain name be approved before allowing you to run ads on them. One of the greatest things about Google AdSense, was, that in the past you could slap your ad code scripts on any web page, and relevant – targeted ads would immediately appear, assigning each click on an ad, to a publishers pending earnings. Such is no longer the case. 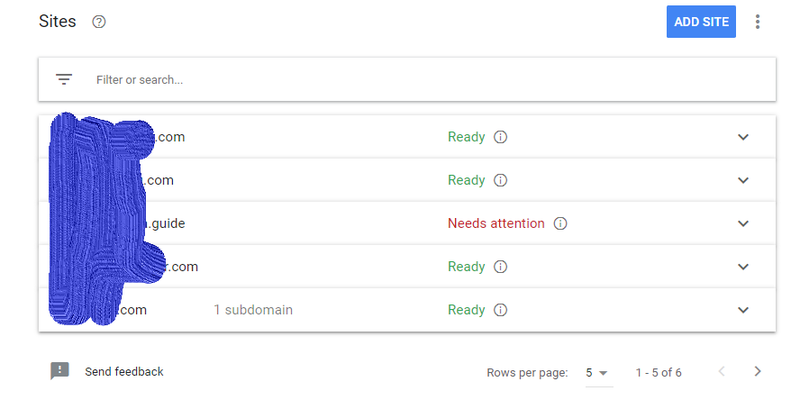 Yesterday a client / friend requested advice on a simple landing page created for a premium single word .com domain name, in order to A) earn revenue, and B) record statistics. I explained that although the landing page could be created and the statistics monitor be installed, Google would have to manually approve the domain name for running ads, and with a simple lander accompanied by very little content, the site was likely to be denied for the program and that another means of monetization would be required. An example of a site deemed by Google as not ready to show ads for one reason or another. This is just one of very many changes Google has implemented over the last few years during their battle with traffic and clicks deemed to be fraudulent. They must also be saving a tremendous amount of revenue as Google is no longer obligated to pay out dividends for ad clicks which are generated on sites not included in a publishers list of approved sites. 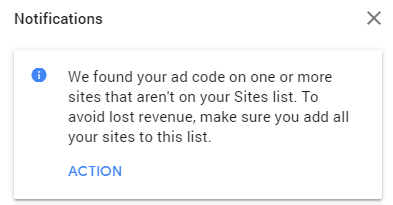 Alert message that a site not in a publishers approved list has ad code installed and Google is likely showing ads anyway, without obligation to pay out on those ad clicks unless the site is claimed.